Once used as a Civil War hospital, the 1830s hotel is the site of many strange events. Folks have witnessed apparitions, including that of an African-American man singing and/or whistling, and heard the unexplained sounds of footsteps, slamming doors and Morse code. Hello. 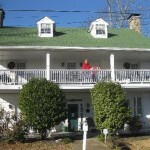 My parent’s have recently purchased the Village Inn bed and breakfast in Stone Mountain, Ga. I’m looking for any information on the property. It was vacant almost two years before they purchased it and has mainly operated as a bed and breakfast since the mid 90’s. My friend is loving with them and he had nightmares the first few weeks and thinks it was Jacob Stillwell who was in his dreams. There’s quite the to-do list on this house but we’re wanting to know as much as possible before disturbing anything that we shouldn’t. Any information or advice is much appreciated! Many thanks! Check with the historical society. I think they meet the 3rd Tuesday of every month. The ladies who work at Sassy’s in Stone Mountain are also said to be up on town knowledge. If you wish for someone to investigate, our group can help you. Haunt Analyst has been around for 10 years now and our found Harold Berryman, has been researching the paranormal with the Institute of Metaphysics since around 1992. We are trustworthy and detailed and can provide references on request. If you are interested, you may respond to jerry@hauntanalyst.com or go to our website to see more about us, then click the Request an Investigation page. Whoops, our website is http://www.hauntanalyst.com. Meshell, Who is Jacob Stillwell? Stupid question, maybe, but I really don’t know! We got married at The Village Inn in April of 1997 after it had been renovated by the Bailey family. It was WONDERFUL! We had our first paranormal experience on our wedding night. 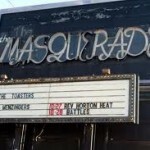 We didn’t think anything of it until we started reading up on the reported “hauntings” of the place. We rented the whole inn and our party stayed Saturday night and we stayed three more days. After that the Baileys sold the inn to the next owners, the Collins’, who we became fast friends with after designing their website. After that we stayed at the Inn MANY nights, some by ourselves, even me along in the whole Inn a couple of times. My husband Scott and I would LOVE to talk to your parents in person and discuss our experiences. Let me say that not one of our experiences was bad, never. Don’t be scared sat all. We are so excited that the Inn is going to be used again. I was so sad when it sat empty for so long. Hope your family enjoys it for years to come! If you’d like to contact feel free to email me back! Hi Lisa. We have scheduled an investigation at the Inn and I would like to talk to you about your experience. Can you contact me at jerry@hauntanalyst.com? I would love to visit this place with my family however when I just googled it, it says permanently closed.. Is it closed ?? I stayed there in the late nineties one night and lights began to flicker in the living room and later heard what sounded like boots walking across the floor with a drag, like whatever it was, was crippled, coming from above the living room. There was no one else there at the time, the Baily’s the owners then lived down the street. I went up and looked around the Rhett room and saw nothing and was a little uneasy the rest of the night. I finally got to sleep, but there is definitely something there, although nothing harmed me. It was your imagination. Ghost don’t exist. Hi everyone! I wanted to let you know that we will be re opening very soon! Please like us on Facebook. 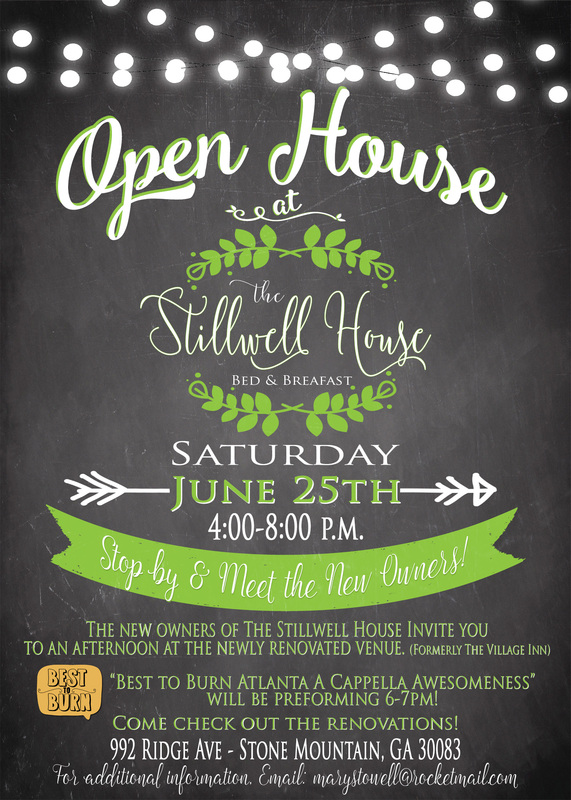 Search for Stillwell House on Facebook. The Village Inn is reopening as The Stillwell House! All are invited!! This was a house that was in my family for years. Nellie Ashe was my great aunt. I have some newspaper from article posted.